The II V I progression is the harmonic motor of jazz music! Jazz harmony is based on the cycle of fourths and II V Is are the king of fourths… Understand the II V I and you understand jazz! Jazz is a style of music that moves in cycles and is quite predictable from a harmonic point of view. Even though chord movements in jazz are predictive and reasonably straightforward, many melodic and harmonic variations can be created on the spot. So within a predictive and ‘set’ framework we have freedom to make things less predictive and more colourful! Most of the progressions in jazz moves in the cycle of fourths. 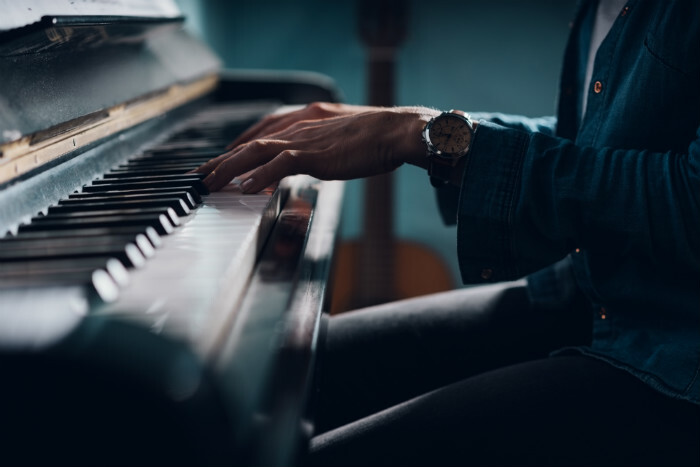 The II V I is the most important progression, and knowing how to improvise and use this progression intimately is of paramount importance to your jazz piano playing! The wonderful pianist Jacques Loussier has demonstrated this throughout his musical career! Cycles, cycles and more cycles… study cycles and YOU will understand the internal motor of jazz! 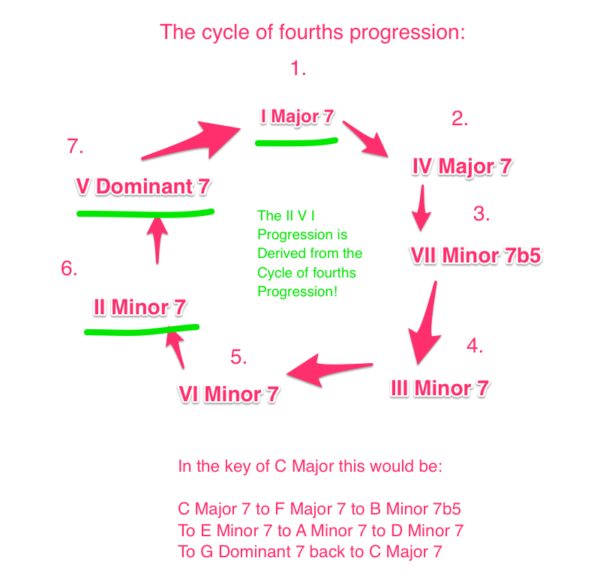 The II V I progression is derived from the cycle of fourth progression through the tone center! Knowing your keys inside out is a must! If you want to become a competent jazz pianist, you have to know your keys – yes all 12 of them! It is basically playing harmonies through a key in the cycle of fourths (within that key or tone center). As a jazz pianist you need to know this progression in all it’s inversions throughout the piano. By doing this essential groundwork, you will internalise all 12 keys (eventually) and drastically improve your ability to improvise over chord changes! That means that the movement of the cycle of fourths throughout a tone center will have the II V I as it’s final set of chords! As you may know, playing the bass or root note is not always necessary in jazz as the wonderful bass player will take care of this important task! Study the Cycle of Fourths Diatonic Progression and you will definitely get much better at this wonderful musical language called jazz! I recommend that you study the diagram below and try to play the chords on your piano. Remember, actually trying it will always beat just reading about it! You will also need to get the sound of the progression into your musical ear! One of the most important progressions in jazz! Why is the II V I progression so prominent in jazz? Why is the II V I progression so prominent in jazz piano and jazz playing? At the very essence it has certain harmonic factors that needs to be considered. 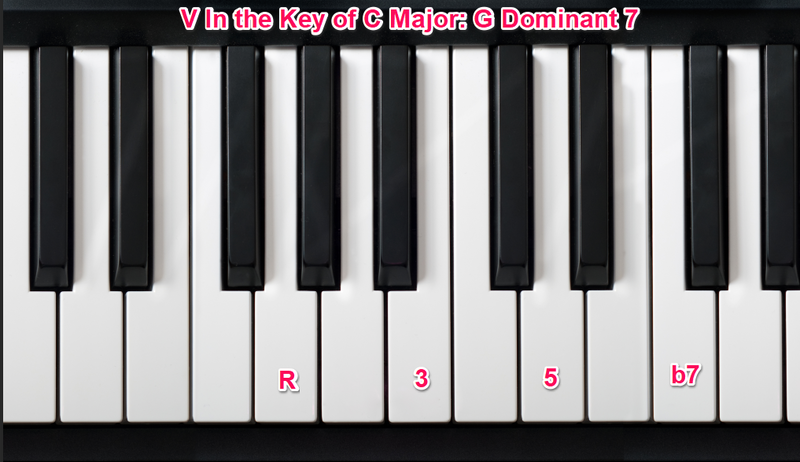 The II Minor 7th is basically a sub-dominant function chord that PRECEDES the dominant chord. 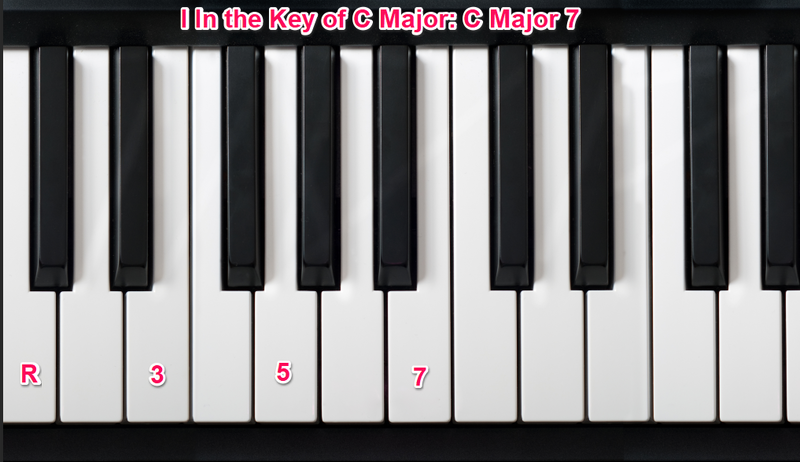 The I Major 7th is the home key or the final resolution! That is the way music works! Another quality that is inherent in the II V I progression is for us to create a II bII I progression. This is an optional step – used by lots and lots of jazz musicians to add a little extra flavour in their II V Is! I know it is not bII but rather tritone substitute dominant 7th to I.
I’m just writing it in the above manner to make understanding a little easier! Description: The subdominant part of the cadential progression. The chord the precedes the dominant tension chord. Jazz players will often play a F Major 7 as a substitute chord to get D Minor 9 (with no root). Remember the bass player takes care of the root. Description: The dominant part of the cadential progression. The G7 chord contains the tritone. I call this particular tritone T2. The notes are F and B. Basically the 4th and 7th degree of the C Major scale… The tritone SCREAMS for resolution. That’s why we can often go ‘wild’ with our improvisational ideas on the V7 chord! Jazz players will often play a B Minor 7b5 as a substitute chord to get G9 (with no root). Remember the bass player takes care of the root. Description: The tonic (HOME) part of the cadential progression. The I Major 7 chord represents home: a place of security, a place of rest, a place of arrival. Jazz players will often play a E Minor 7 as a substitute chord to get C Major 9 (with no root). Remember the bass player takes care of the root. 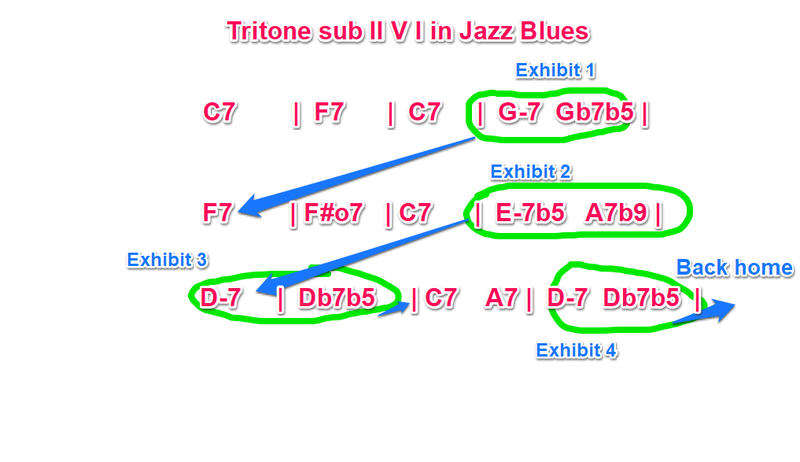 Real music examples with II V I: using the structure of jazz blues as a study of II V! 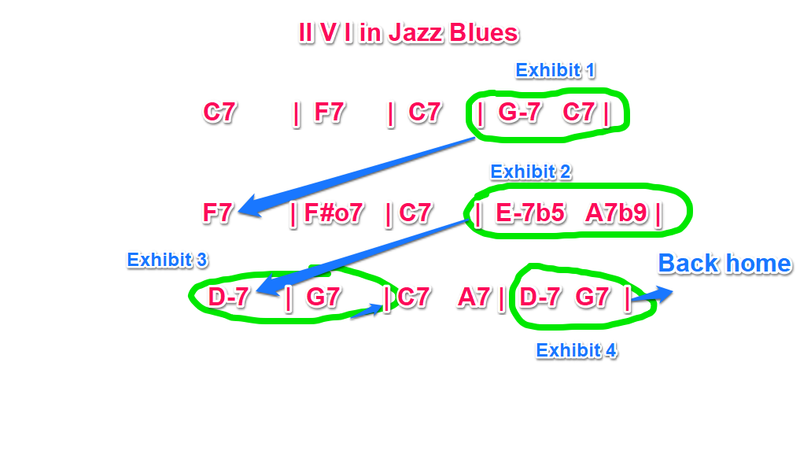 The standard 12 bar jazz blues progression is a wonderful basis for the study of II V I progressions. Let’s consider the move from bar 4 to bar 5 – called exhibit 1. In bar 5 we are resolving to the IV chord. In exhibit 1 we have a II V moving to the IV7 chord progression. The correct analysis here is II of V7 of IV and then V7 of IV (A secondary dominant chord). A perfect II V I resolution resolving into the IV chord of the blues! Let’s consider the move from bar 8 to bar 9 – called exhibit 2. In bar 9 we are resolving to the II Minor 7 chord. In exhibit 2 we have a minor II V moving to the II Minor 7 chord. The correct analysis here is II Minor 7b5 of V7 of II and then V7 of II (Another secondary dominant chord). A perfect II V I resolution resolving into the II Minor chord! Let’s consider the move from bar 9 to bar 10 – called exhibit 3. In bar 10 we are resolving to the I7 chord. In exhibit 3 we have the diatonic II V moving to the I7 chord. A perfect DIATONIC II V resolution resolving into the I7 chord! Let’s consider the move from bar 12 to bar 1 – called exhibit 4. In bar 1 we are resolving to the I7 chord. In exhibit 4 we have the diatonic II V moving to the I7 chord. A great example of history repeating itself! Tritone substitution creates chromatic bass movements and they can really make your jazz/blues playing a lot more interesting! Please note that the tritone of C7 and Gb7 (I call this one T1) is ACTUALLY the same – the notes are E and Bb! In bar 5 we are resolving to the IV chord. In exhibit 1 we have a II tritone sub V moving to the IV7 chord progression. The correct analysis here is II of V7 of IV and then tritone sub V7 of IV (A tritone sub secondary dominant chord). A perfect II tritone sub V I resolution resolving into the IV chord of the blues! In bar 10 we are resolving to the I7 chord. In exhibit 3 we have the diatonic II tritone sub V moving to the I7 chord. A perfect DIATONIC II tritone sub V resolution resolving into the I7 chord! Let’s consider the move from bar 9 to bar 10 – called exhibit 4. In bar 10 we are resolving to the I7 chord. In exhibit 4 we have the diatonic II tritone sub V moving to the I7 chord. ONCE AGAIN: A great example of history repeating itself! Jazz is a complex style with cyclical underlying harmonic structure. The secret to really becoming accomplished at playing jazz is to thoroughly internalise the important cycles such as II V I or I VI II V or III VI II V.
This requires dedication, study and introspection. The language of the cycles needs to become second nature if you want to learn how to make serious progress in your jazz playing going forward. Remember the old saying “Rome was not build in a day”… therefore give yourself LOTS of time and space to explore and you will get there! The more time you spend with a free open mind whilst practicing, the quicker you will see results and improvement in your own jazz performance. I wish you the best of success with your jazz journey! I highly recommend iRealPro as a serious practice tool for any budding jazz pianist! You simply cannot afford to practice without this amazing tool. In fact, now that it is available, jazz is no longer a secret… Now EVERYONE can learn how to play jazz! The only barrier to entry is practice, practice and some more practice! Make sure you get the iRealPro application right now and drastically improve your jazz piano improvisation and comping! Frank Mantooth is a master at making complex jazz voicings really really easy. I cannot recommend Frank Mantooth’s material enough. I really recommend getting his books on jazz voicings as this will really help you with your II V I and overall jazz studies in the future. Frank Mantooth recommends the best chord changes to make learning the best standards really easy! A true gem for any aspiring jazz musician! Perhaps you are thinking: I would love to learn jazz piano and really become competent at playing jazz! Well, you are thinking productive and positive thoughts! The truth is, excellent jazz piano education is the fastest route to becoming a successful jazz pianist! Jazz is a tough nut to crack and requires hours and hours of dedication, but I can absolutely assure you that it can be done! 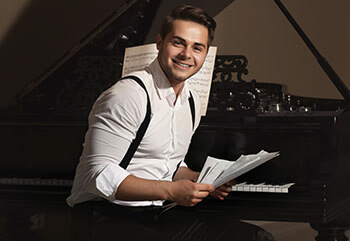 With enough determination and a long time-frame with top-notch jazz piano lessons, you can make your dreams come true! If you want to learn jazz, you can start immediately even if you have never ever played a note in your life! All that you need is passion, a willingness to learn and the ability to continue through testing times! Playing jazz is great… it is a strict framework but within that framework you have the freedom to TRULY express yourself and improvise and play in waves of music! If you want to know more about our jazz piano courses, please visit our jazz course page here. The importance of why the II V I progression is the ULTIMATE progression in jazz music!